Love is Everywhere: Introducing the Bloscars! My lovely friend Ashley over at the fabulous, fun, creative & glamorous Eisy Morgan has created a new award. This is not just any award but it's the official BLOSCARS! 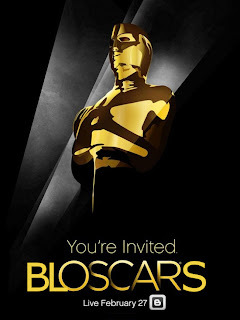 With the actual "Oscars" coming up this Sunday I thought it would be fun if we held our own version here in the blogging world and we could call them the BLOSCARS! You know, BLOG and OSCARS combined! You know how I like to combine words here, ha! I thought it would be fun to have us vote on the awesome bloggers we frequent (like we are the "Academy") and then they will be awarded a Bloscar!! They will of course need to write acceptance speeches and tell us what they are wearing..ha ha! So this is where you come in, my dear Academy! We need your nominations for these bloggers in the next two days! Shimmy on over to Eisy Morgan for more information on this very exciting feature that we all can be apart of.